Wash potatoes and cut it into thin slices. Add water to besan and make a batter of thick consistency. Add red chilli powder, mango powder. 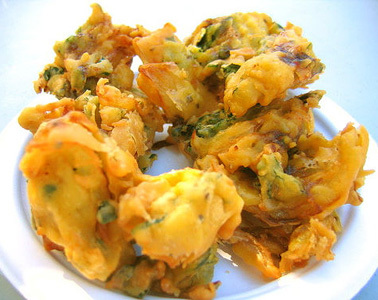 Dip each piece of potato in batter. Fry these potato pieces one by one till they turn golden brown. 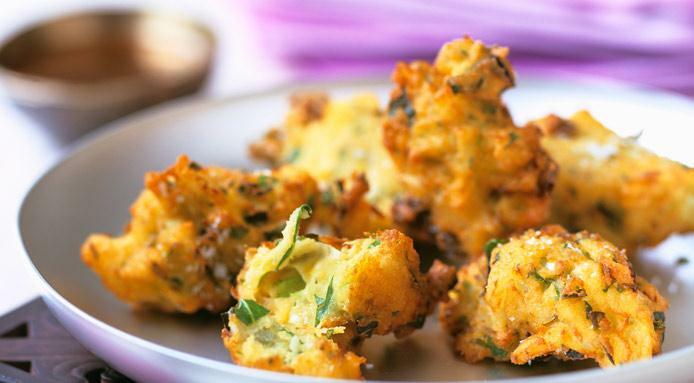 Serve hot Aloo Pakora with tomato sauce.